What happens when you combine the whimsical illustrations and lyrical rhymes typically found in Dr Seuss books with a hilarious mother/author? You get the very best thing in breastfeeding literature – The Places You’ll Feed!. Sure, there are plenty of breastfeeding books out there but none quite like The Places You’ll Feed!. 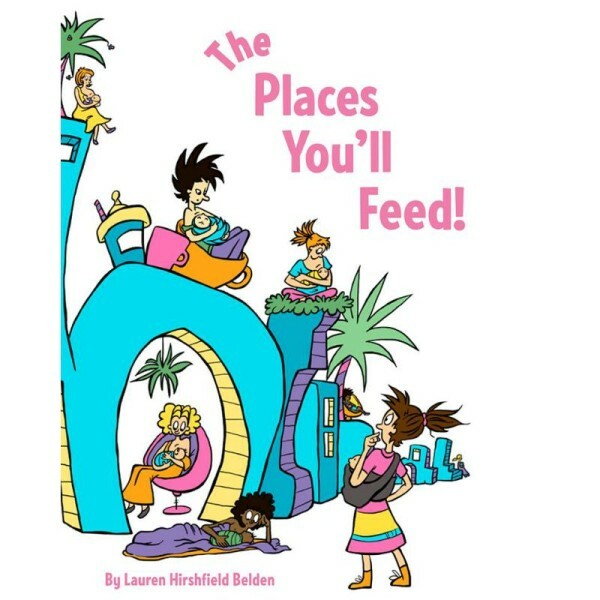 Delve into a cleverly written and beautifully illustrated Seussian-inspired journey through the confusing and chaotic land of lactation with The Places You’ll Feed!. Writer and mum of two, Lauren Hirshfield Belden and illustrator, Isabelle Angell have drawn inspiration from the much-loved Dr Seuss classic, Oh The Places You’ll Go!. However, rather than focus on the ups and downs of life, Lauren’s story takes us on the bumpy road of breastfeeding. 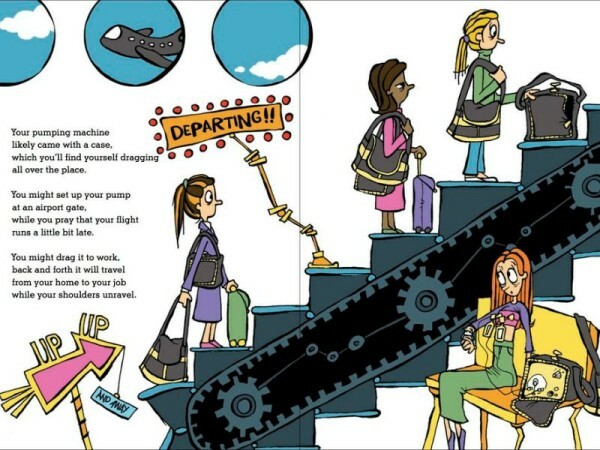 From express pumping in the departure lounge at the airport (been there), to feeding on a busy train (done that), there is no shortage of accurate descriptions of what life is really like for busy breastfeeding mums on the go. While the muse behind the book is clearly Dr Seuss, whom Lauren admits both she and her children love, the inspiration for the story came from Lauren’s own breastfeeding battle. In addition to wanting to showcase her less-than-idyllic journey through nursing, Lauren also wanted to help “all the new mamas out there who might be struggling and in need of a good laugh”. We love a good parody and The Places You’ll Feed! certainly nails it in our books. Get your own copy through The Places You’ll Feed and check out The Places You’ll Feed! on Facebook for Australian stockist updates.